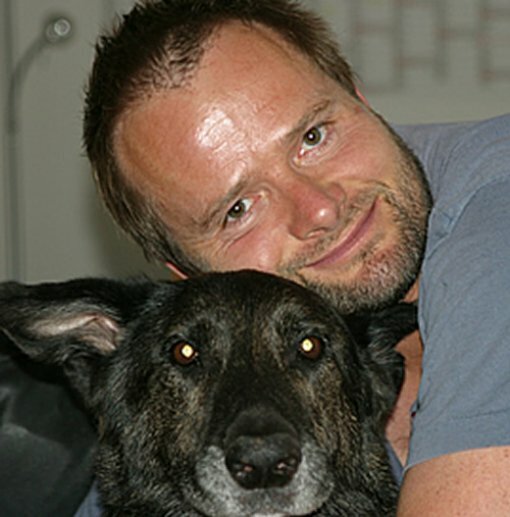 Martin Balluch is a prominent animal rights activist. He co-founded the Austrian Vegan Society, and he has been president of the largest Austrian animal rights organization Verein Gegen Tierfabriken since 2002. 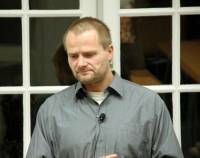 He has been invited to run as a Green Party candidate in September 2008. Citizens are invited to visit the lecture of Martin Balluch, PhD, titled "The Continuity of Consciousness - The Scientific Argument for Animal Rights" which will take place on Wednesday, December 16, at 7 P.M. at KIC, Preradoviceva 5, Zagreb. 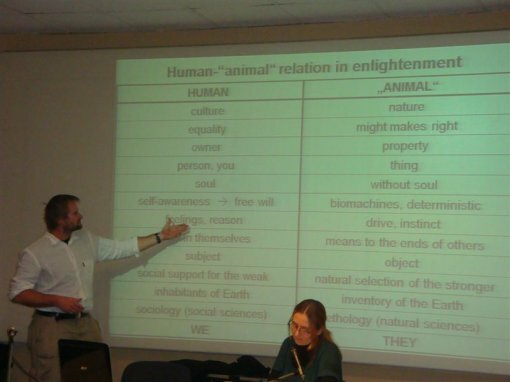 The title of the lecture is also the title of one of Balluch's books on animal rights. At the lecture he will convey part of his abundant experience in the fight for animal rights. He will also point out the importance of raising public awareness by every individual, as well as the importance of political and legislative engagement in/for animal rights. 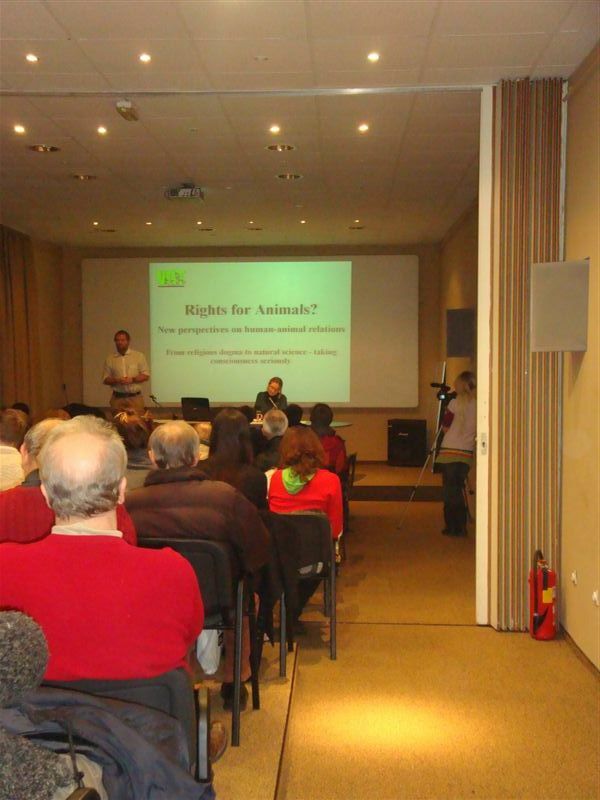 Balluch will also talk about Austrian Animal Protection Act. Martin Balluch persuaded the Austrian Parliament to add a clause about non-human animals to the country's constitution, which states, "The state protects the life and wellbeing of animals in its responsibility for them as fellows of mankind." He successfully took part in other changes of the law and has helped to establish "animal solicitors" empowered to start court proceedings on behalf of animals. Austria has already introduced a ban on battery farms for chickens. In addition to the ban of the trade dogs and cats in pet shops, it is illegal to publicly display dogs and cats in order to sell them, and killing of animals in shelters has been outlawed. When police are made aware of breaches of animal legislation, they are required by law to act. Every two years, the government must write a report on advances made in animal protection. Martin Balluch was born in 1964. 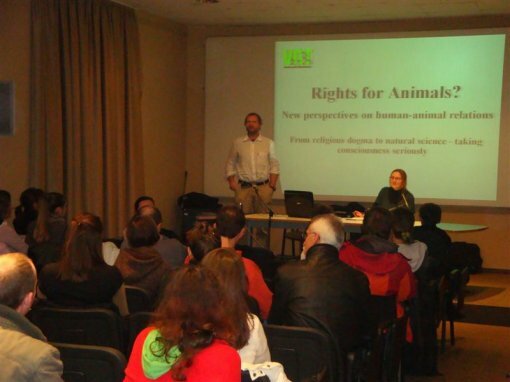 He has been active within the animal rights movement since 1985. He obtained diplomas in mathematics and astronomy in Vienna, and a PhD in physics in Heidelberg in 1989. 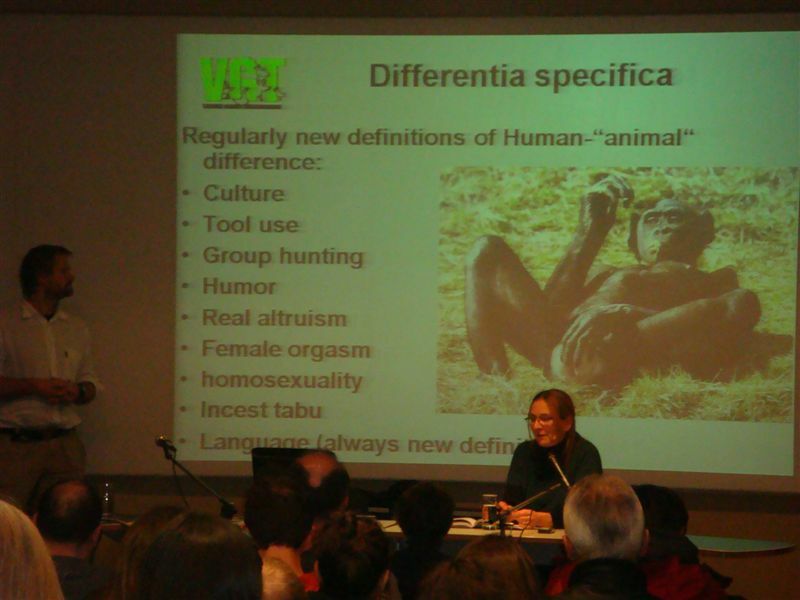 From 1992 he worked as a lecturer at Universities of Vienna, Heidelberg and Cambridge, but in 1997 he decided to give up his career and became a full-time animal activist. 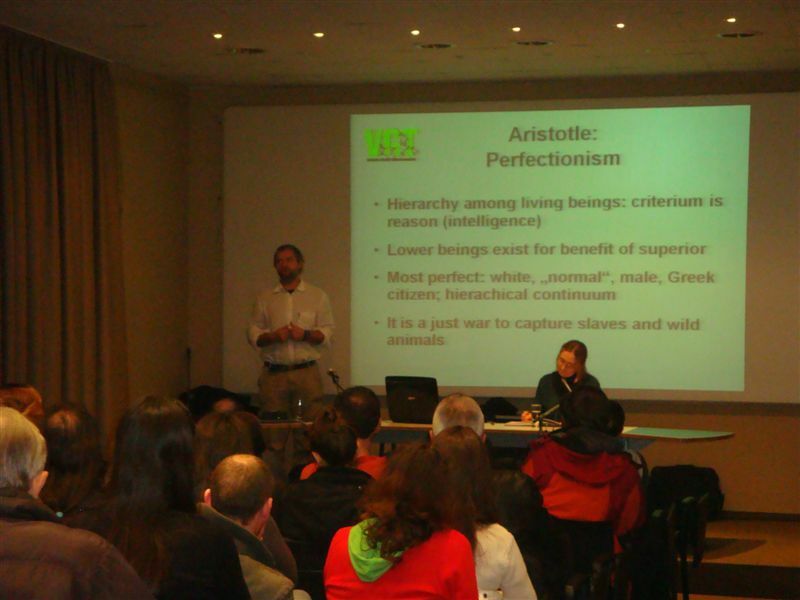 In 2005 he obtained a PhD in philosophy with the title "Animal Ethics" from the University of Vienna. 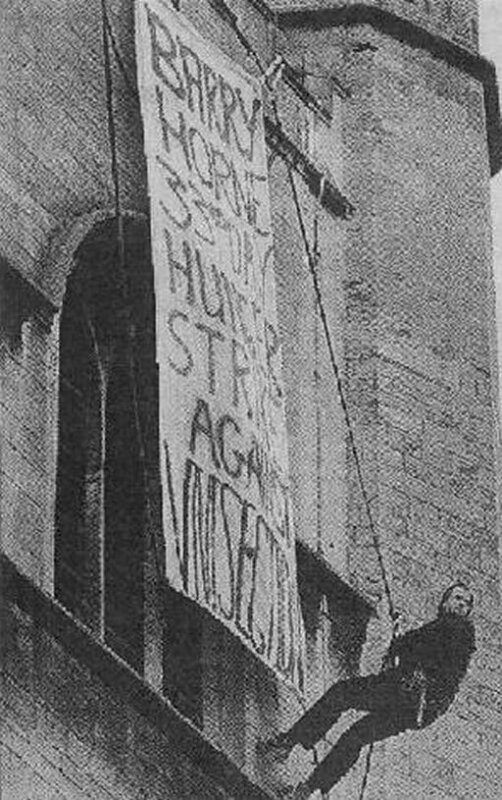 He was one of two protesters who abseiled down Great St Mary's Church in Cambridge in November 1998 in support of animal rights activist Barry Horne, who spent 68 days on hunger strike in an unsuccessful effort to have the government order a Royal Commission on animal testing. 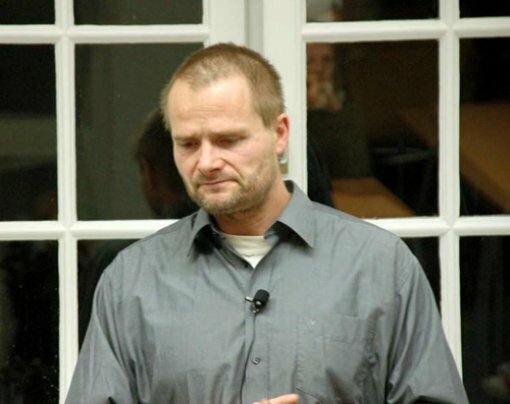 On May 21, 2008, Balluch was jailed without charge under a law aimed at organized crime. 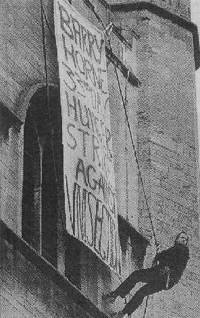 Balluch responded by launching a hunger strike, which led to his being artificially fed. He was released on September 3, 2008. The philosopher Peter Singer has called Balluch "one of the foremost spokesmen in the worldwide animal rights movement for pursuing the nonviolent, democratic road to reform."